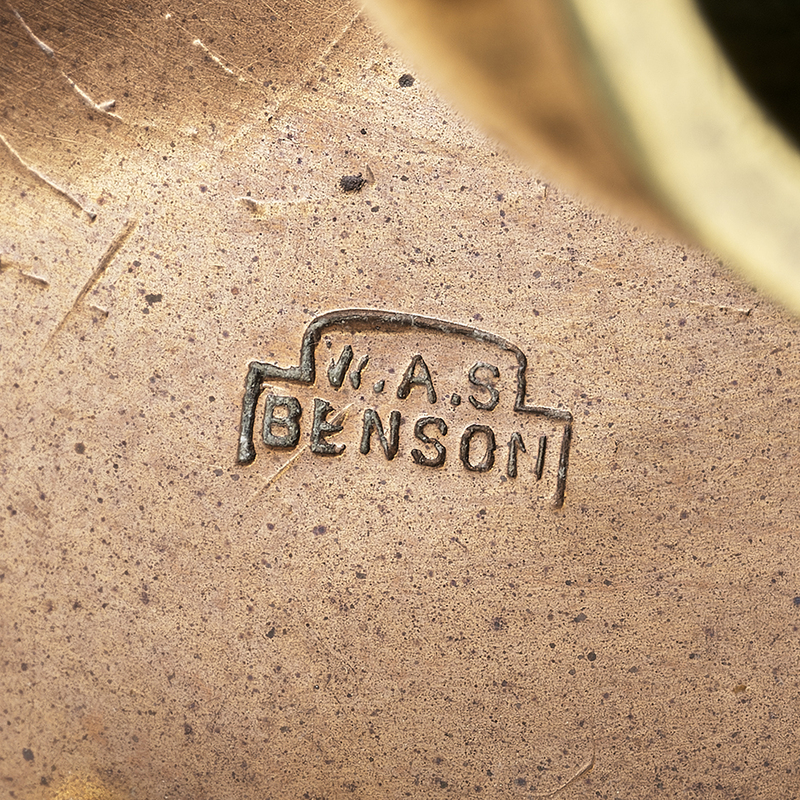 These counter-balance candlesticks are described in Benson’s Price List of Fittings for Oil, Gas, Candle, Table Ware, &c., 1899–1900 as ‘[f]or Piano or Mantlepiece’. 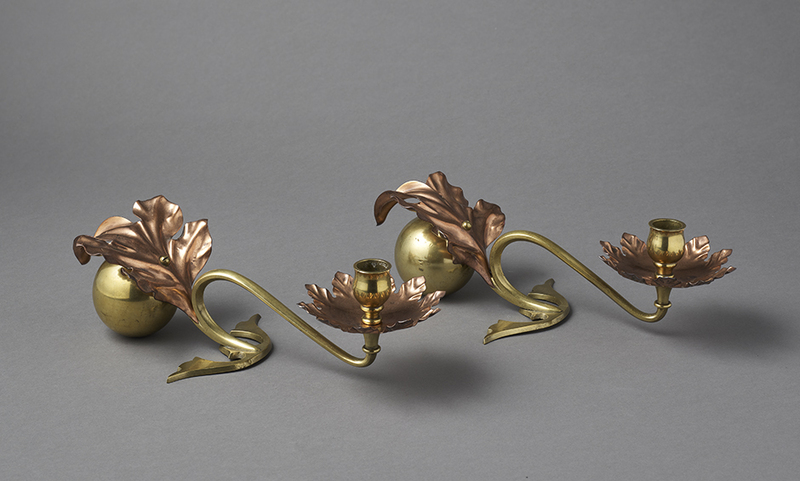 Benson designed ‘Counter-balance’ candlesticks in three models, finished either entirely silvered, or in a mixture, as here, of brass and copper. Variants are in the collections of the Art Institute of Chicago, the Musée d’Orsay, Paris, and the British Museum, London.